News - Tinchy to launch line of bikinis? Tinchy to launch line of bikinis? The Bright Lights rapper already has his own t-shirt range and he told the Daily Star he is looking to branch out into "summery things". He said: "I was going to expand my t-shirt range but because the season is so cold right now I put some of it on the back burner. "I really want to aim for summer and do a few more casual things, a few classy things too. So it's bikinis and summery things." The 25-year-old star said he loves fashion and added that he is "always looking for ideas". 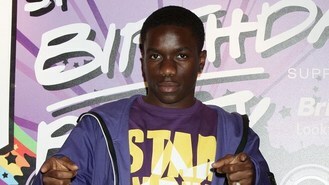 Tinchy founded his clothing company Star In The Hood - also the name of his first solo studio album - in 2006.